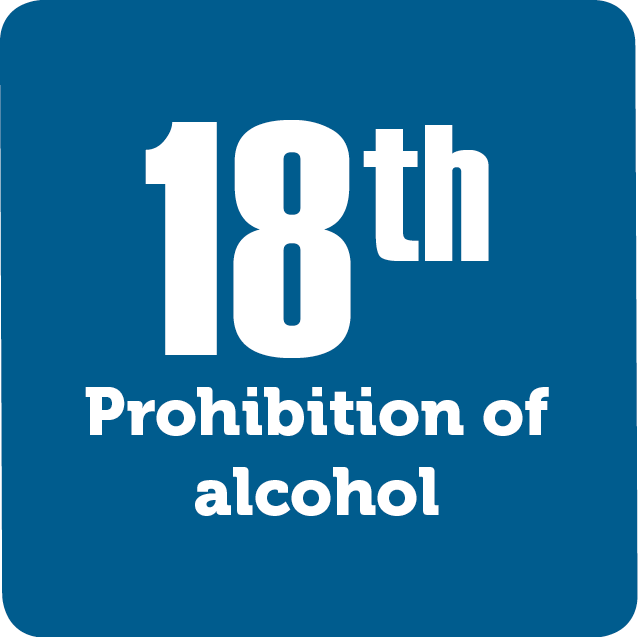 The Eighteenth Amendment prohibited Americans from making, selling, and transporting alcohol. Groups such as the Women’s Christian Temperance Union and the Anti-Saloon League fought against alcohol and the problems that it seemingly caused. They won the battle, but only for a short time. This is the only amendment to be repealed, or revoked.